4 Beds 3 Baths 1 Partial Bath 2,652 Sq. ft.
For more information contact Debbie Leutheuser @ 734-323-7067 or dleutheuser@reinhartrealtors.com Immediate Occupancy! Located in the Saline Valley Farms with Saline Schools. Custom Built by Peters Building Company. 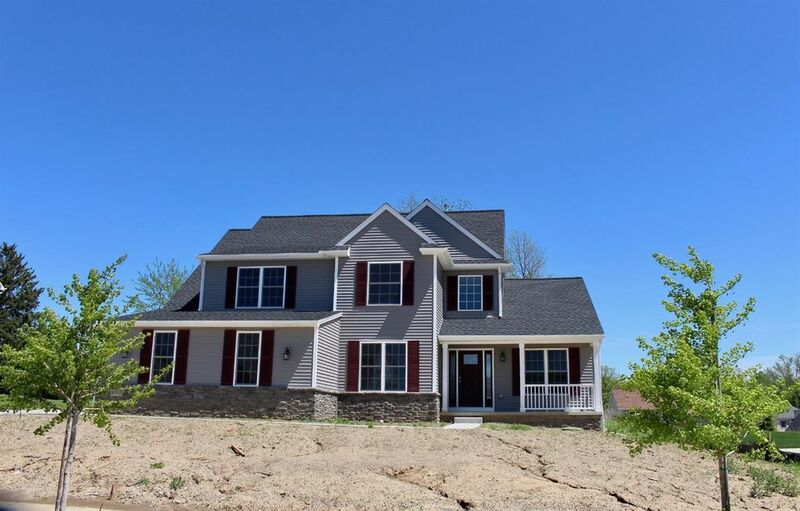 Brand New construction featuring the popular Geddes model 4 nice size bedrooms, 2 1/2 baths, spacious open layout featuring formal dining room, first floor study and laundry. Beautiful Hardwood floors, awesome kitchen with 42 cabinets, granite countertops, Kitchen appliance allowance includes the Whirlpool stainless package w/ side by side stainless refrigerator, gas or electric for range along w/ microwave & dishwasher. Master suite w/ walk-in closet & master bath w/ soaking tub, granite, ceramic tile, & double sinks. All bedrooms have large closets. Full basement with egress windows & plumbed for 3rd bathroom. 3 car garages. Energy efficient blower test approved home. Washer and dryer allowance, landscaping and 14 x 12 azek deck to be added in spring. 5.1 Miles to US:23 expressways & 3.8 miles to downtown Saline.